Not only is the film Furious 7 paying homage to the late Paul Walker, but so is the soundtrack. In the film, the song “See You Again” is played during the touching tribute to Paul Walker. Check out the tribute video below! If you’re a true fan of the Fast and Furious franchise then you’ll be as disappointed in Furious 7 as I was. The Fast and Furious movies have always been about action and fun, and Furious 7 stays true to that. But I must say, there is a certain dark cloud that hangs over Furious 7: Paul Walker’s untimely death. Unlike the previous Fast and Furious movies, in order to understand Furious 7 you’ll need to know the back-story. Any attempt to figure out the deep-rooted relationships from the past six movies will leave you in a state of panic. So I suggest you grab the nearest Fast and Furious fan and brush up on some facts. Just when you think you know where a story is taking you American Crime has a way of twisting that story and taking it to place you never imagined! 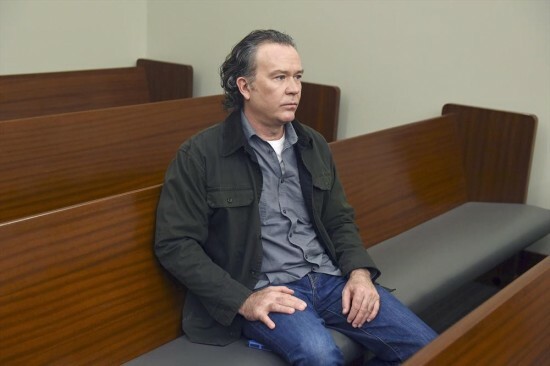 “Episode Three” of American Crime re-explores the theme of family dynamics as familiar and distant relatives confront the main characters. American Crime “Episode Two” gets extremely gritty as the episode delves deeper into the backgrounds of the characters. I must admit, I wasn’t necessary hooked in episode one, but episode two has a completely different focus. The pace of this episode is drastically slower than the first episode, perhaps to shed light on the importance of the characters and their backgrounds. “Episode Two” focuses on how each character processes the events leading up to Matt’s death. We get a glimpse into the emotional turmoil that has rocked each character as they try to hold their lives together. Aubrey, for instance, is released from jail only to realize she has nowhere to go and no one to turn to. She resorts to calling her father in hopes that he will give her money to survive. Most of the scenes with Aubrey in this episode show her wandering around or in a fit of anger over her situation, perhaps to mirror her addict nature and the constant air of hopelessness that follows her everywhere she goes. Although the scenes with Aubrey are without dialogue, the quietness is the most haunting part of her scenes, watching her as she struggles to find her place in the world. American Crime is a new cable drama on ABC, created by John Ridley, the mastermind behind the film 12 Years a Slave. The series follows the aftermath of a horrendous crime that devastates a small community, leaving everyone affected. The show follows the lives of families in the community and their connection to the crime. It touches on topics of race, ethics, and morality and I can only imagine how else the writers are going to explore these themes throughout the season.